For the month of August, I returned home to California, USA, to visit my family and friends. What made this a special trip, though, was that my Japanese friend, Takumi, came to stay with me and my family for two of those weeks. 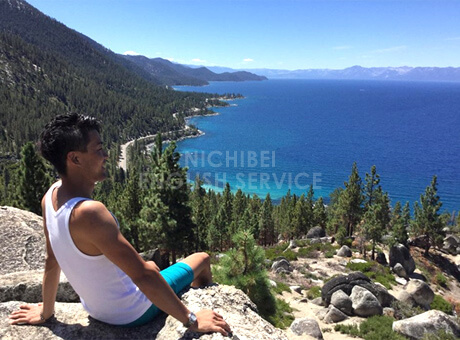 It was his first time in this country, so of course, I packed our time together with American style fun and beautiful scenery that only California has to offer. We regrettably couldn’t make it to San Diego, my college town, but we visited many other iconic places to make up for it. I live in the San Francisco area, so that immediately checked one off the list. In addition to that, we saw Lake Tahoe, San Juan Bautista, Santa Cruz, Los Gatos, Los Angeles, Carmel, Pebble Beach, and Gilroy. This is a picture of the famous Lake Tahoe. We drove six hours to visit my friend Allie, and her fiancé, Anthony. The weather was perfect, and we did many outdoor things. We went hiking, jet skiing, and swimming in the lake. I’ve never seen such clean and beautiful water! This was a new experience for both Takumi, and myself. I have two sets of grandparents. 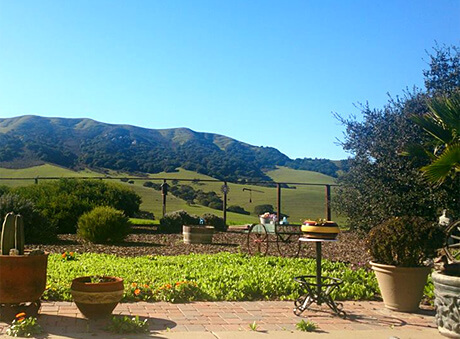 My dad's parents have lived in the quaint and quiet town of San Juan Bautista for 15 years; this is a view of their backyard. We spent a lot of time with them, because they really, really love company! San Juan Bautista is a small and famous historical town, mostly controlled and preserved by small business owners. It has many antique shops that my grandmother and I visit every time I return to America. 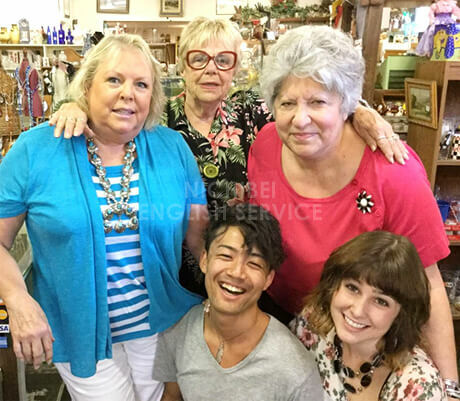 My grandmother (in the blue shirt) and I brought Takumi to our favorite shop, owned by two sweet, elderly women. They were so excited to meet him! He bought some presents for his family, and the ladies hugged him and kissed his cheeks as thanks. My grandfather on my mother's side lives in Los Gatos. He decided to throw a party at his home for my and Takumi's return from Japan, so my entire family joined together and ate a delicious dinner that my uncle prepared for us. This picture is a view of Takumi and me playing "fetch" with my grandfather’s dogs in the backyard. Next, we visited Santa Cruz with my friends Shea, Danille, James and Ashley. 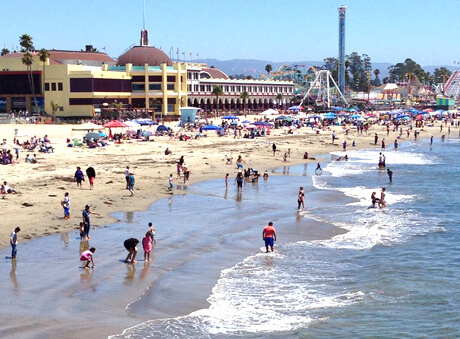 Santa Cruz is famous for an amusement park called "The Boardwalk" located right on the beach. 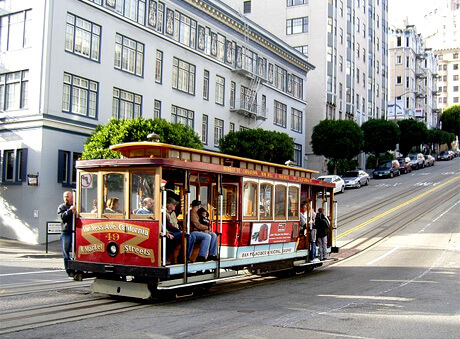 It has some of the oldest rides in the world! This day was spent jumping in the ocean, screaming on roller coasters, eating really unhealthy food, and playing arcade games. I mentioned before that we spent a lot of time with my paternal grandparents. 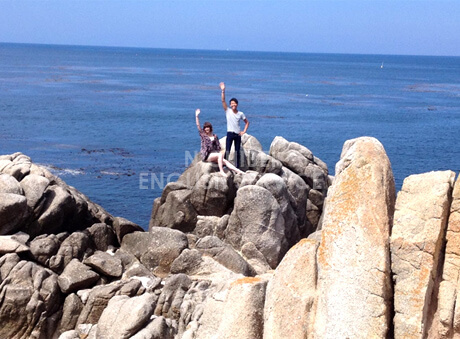 On this day, we visited Carmel and Pebble Beach with them. Carmel is famous for its clear, clean, and pristine ocean view. 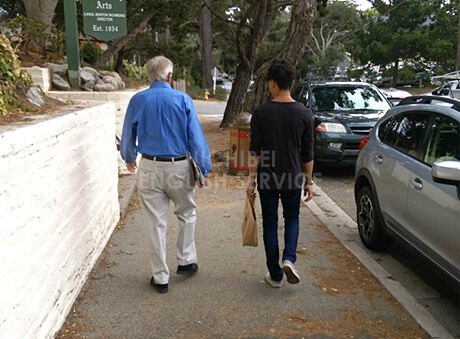 Unlike Santa Cruz, which is a tourist attraction, Carmel is built as a historical site for a really peaceful and relaxing time. In this picture, I wanted to visit the same rocks I used to climb as a small child. For some reason, it seemed a lot easier when I was younger! I thought this picture was so cute. It's my grandfather and Takumi talking about boy things while my grandmother and I do girl things a little further behind. Pebble Beach is really a perfect place for some family bonding time. This was a great day. Much like the Kobe Outlets, Gilroy has a famous outlet mall, as well. I have a rule: if something was made in America, I should buy it there; if something was made in Japan, I should buy it here. It’s a smarter purchase, because it's always less expensive that way! 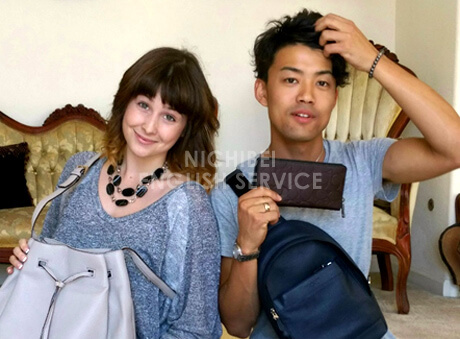 We were so surprised to see the discounts at outlet stores such as Kate Spade and Coach for Men. All of our purchases were something like 70% discounted from the same items sold in Japan. It was amazing! It’s always great to feel like you got a good deal. Lastly, of course, we had to go to Los Angeles. My mom, her boyfriend, Takumi and I all took a five hour road trip to Universal Studios, Hollywood. We spent two days there, comparing it to Universal Studios, Japan. Apparently, the Jurassic Park ride is exactly the same, down to the smallest detail. But, unlike USJ, Harry Potter World isn’t finished yet! Even so, despite that small setback, Los Angeles was an amazing trip, along with all the other cities we visited. I was able to introduce Takumi to my family, friends, and home state, and we really enjoyed every minute of it.